Philately related abreviations and terms used on this site. In philately, a block is a group of postage stamps still attached to each other. Blocks are of interest not only because they are rarer than individual stamps, but they also preserve relative positions of stamps as they were originally printed, information that is crucial to understanding how the stamps were produced. A postage stamp booklet is a booklet made up of one or more small panes of postage stamps in a cardboard cover. Booklets are often made from sheets especially printed for this purpose, with a narrow selvedge at one side of the booklet pane for binding.From the cutting, the panes are usually imperforate on the edges of the booklet. Smaller and easier to handle than a whole sheet of stamps, in many countries booklets have become a favored way to purchase stamps. In philately, a cinderella stamp has been defined as "Virtually anything resembling a postage stamp, but not issued for postal purposes by a government postal administration..."
As cinderella stamps are defined by what they are not, there are many different types and the term is usually construed fairly loosely. Items normally regarded as falling within the area are poster stamps, propaganda labels, commemorative stickers, stamps issued by non-recognised countries or governments, court fee stamps, charity labels like Christmas seals and Easter seals, most telegraph stamps, some railway stamps, some local stamps and purely decorative items created for advertising or amusement. Revenue stamps are sometime considered cinderellas, but as they are normally issued by an official government agency, they tend to be classed separately from other cinderella stamps. Postmark, Pen-cancellation, Overprint (specimen, sample, inutilizado), Punched with holes. A mute cancellation is postmark without inscription, letters or numbers (also known as "killers"). a postage-stamp cancelled by the postal administration before sale to stamp-collectors. A definitive stamp is a postage stamp, that is part of a regular issue of a country's stamps (often referred to as a 'regular issue') available for sale by the postal service for an extended period of time. The term is used in contrast with a "provisional stamp", one that is issued for a temporary period until regular stamps are available, or a "commemorative stamp", a stamp "issued to honor a person or mark a special event" available only for a limited time. Commonly a definitive issue or series includes stamps in a range of denominations sufficient to cover many or all postal rates usefully. A First Day of Issue Cover or First Day Cover is a postage stamp on a cover, postal card or stamped envelope franked on the first day the issue is authorized for use within the country or territory of the stamp-issuing authority. Sometimes the issue is made from a temporary or permanent foreign or overseas office. There will usually be a first day of issue postmark, frequently a pictorial cancellation, indicating the city and date where the item was first issued, and "first day of issue" is often used to refer to this postmark. Depending on the policy of the nation issuing the stamp, official first day postmarks may sometimes be applied to covers weeks or months after the date indicated. Postal authorities may hold a first day ceremony to generate publicity for the new issue, with postal officials revealing the stamp, and with connected persons in attendance, such as descendants of the person being honored by the stamp. The ceremony may also be held in a location that has a special connection with the stamp's subject, such as the birthplace of a social movement, or at a stamp show. In philately, gum is the substance applied to the back of a stamp to enable it to adhere to a letter or other mailed item. The term is generic, and applies both to traditional types such as gum arabic and to synthetic modern formulations. Gum is a matter of high importance in philately. Illegal stamps are postage stamp-like labels issued in the names of existing independent countries or territories, entities claiming to be independent, or completely fictitious entities. They are a subset of philatelic fakes and forgeries for which a member nation of the Universal Postal Union (UPU) has caused the issue of an "International Bureau Circular" advising others of this label. Most illegal stamps are issued in the names of countries or territories from Africa or the former Soviet Union, or smaller island nations from around the world. Older illegal issues (from the 1970s) were most often in the names of Arab states. The designs usually feature popular topics such as animals, sporting heroes, and movie stars. They are usually, but not always, unrelated to the country or territory named on the stamps. Most illegal stamps are not listed in the major stamp catalogues, (Scott's, Stanley Gibbons, Yvert and Tellier, Michel). The UPU periodically issues advisories at the request of the postal authorities of member nations, listing illegal stamps. A maximum card is an illustrated postcard that has one or more stamps and cancels. Mint Mint says something about the condition the stamp is in. A mint stamp has the same condition as on the day that it was printed. Sometimes the term "mint never hinged" is used for stamps in this condition, because many people use "mint" for stamps that were unused and hinged. In philately, a mint stamp is a stamp which is in its original state of issue, is unused, has never been mounted and has full gum, if issued with gum. A souvenir sheet or miniature sheet is a small group of postage stamps still attached to the sheet on which they were printed. They may be either regular issues that just happen to be printed in small groups (typical of many early stamps), or special issues often commemorating some event, such as a national anniversary, philatelic exhibition, or government program. The number of stamps ranges from one to about 25; larger sheets of stamps are simply called "sheets" with no qualifier. To change the function of the stamp (i.e. from postage to official). To add the new name of the country. To add a commemorative slogan (i.e. 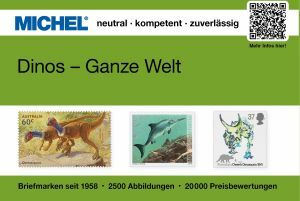 philatelic exhibition). To cover the stamp partially (i.e. king out of grace). When the face value is changed the overprint is called a surcharge. Perforations are the rows of punched holes separating stamps from one another in a sheet. The Irishmen Henry Archer is considered to be the inventor of perforation. He sold his patents to the British Ministry of Finance. For about the first ten years of postage stamp use (depending on the country), stamps were issued without perforations. Scissors or other cutting tools had to be used to separate individual stamps. If cutting tools were not used, individual stamps were torn off, as evidenced by the ragged edges of surviving such examples. This proved to be quite an inconvenience for postal clerks and businesses, both of which had to deal with large numbers of individual stamps on a daily basis. By 1850, various methods such as rouletting wheels were being devised in an effort to make stamp separation more efficient and to allow for large numbers of stamps to be quickly separated. Collectors distinguish different gauges of perforation by reckoning the number of holes in a length of 2 centimetres. A perforation gauge is used to determine the gauge of a perforation. A postcard can be produced by postal authorities. In such cases it usually has a design indicating prepayment of postage. Very often this value is included in an image that looks like a stamp. The word "postcard" is also used for privately produced cards generally bearing an illustration on one side and space for postage, message, and address on the other side. A postcard issued by the postal authorities belongs to postal stationery, but a picture-postcard mostly does not belong to this group. A piece of postal stationery is a stationary item, such as a stamped envelope, letter sheet, postal card, lettercard, aerogram or wrapper, with an imprinted stamp or inscription indicating that a specific rate of postage or related service has been prepaid. It does not, however, include any postcard without a pre-printed stamp. A precanceled stamp, or precancel for short, is a postage stamp that has been cancelled before being affixed to mail. Precancels are typically used by mass mailers, who can save a postal system time and effort by prearranging to use the precancels, and delivering the stamped mail ready for sorting. Precancels were also used on newspaper wrappers in Canada, Austria and Great Britain. The postal administration will typically offer an incentive in the form of a reduced price for precancelled stamps in volume. Precancels cannot normally be purchased by the general public, although they are often seen in one's daily mail. A Presentation Pack is a folder, produced for philatelists and stamp collectors, that contains a full set of a new stamp issue. A Presentation Pack normally consists of a cardboard folder with notes about the stamps, a holder for the stamps and a clear sleeve on the outside. They are normally sold at a small margin above the face value of the stamps. In philately a Die Proof is a printed image pulled directly from the master die for an engraved stamp. As a stamp is engraved it is necessary to check progress and a series of proofs are printed or 'pulled' from the die. These are known as progressive or contemporary die proofs. Progressive proofs also form part of the design and approval process for a stamp. Any changes made during this process turn the proofs into essays which may be identified retrospectively because they differ from the issued stamp. Die proofs for engraved stamps are normally printed under great pressure on to over-sized card and as they are printed from the master die they are normally of high quality. By contrast they may also be printed on India Paper, a strong, thin, opaque paper. The proofs are not necessarily in the same colour(s) as the issued stamp. A proof on India or other paper mounted on a die-sunk card is known as a hybrid proof. Once the die is completed, it is transferred multiple times to the plate from which the stamps are printed. Any pulls from the master die after the stamp has been printed are known as posthumous die proofs and are normally produced for presentation purposes, as samples of the printer's work or to satisfy philatelic demand. Peel and stick stamps are rather new to the postal service and it can be peeled off the non-stick paper. No licking is needed. A set is a complete collection of single stamps of an issue. These stamps are of different design or denomination and may be issued together or over a period (definitives). Publishers of catalogues play an important role in determining which stamps belong together. Collectors and dealers trade use this information and often stamps can only be bought and sold as a set as stated in the catalogue used. Dealers usually prefer selling sets, because not only the difficult ones but also the easy to get stamps (stamps most collectors already possess) are sold. A postage stamp is a small piece of paper that is purchased and displayed on an item of mail as evidence of payment of postage. Typically, stamps are made from special paper, with a national designation and denomination (price) on the face, and a gum adhesive on the reverse side. Postage stamps are purchased from a postal administration or other authorized vendor and are used to pay for the costs involved in moving mail as well as other business necessities such as insurance and registration. A strip consists of three or more stamps that have not been separated. Generally a strip is made up from stamps from the same row of a sheet, but this term is also used for stamps from a roll. Especially strips of classics can be very expensive, because only few survived. A sheet of stamps or press sheet is a unit of stamps as printed, usually on large sheets of paper based on the size of the printing plate, that are separated into panes that are sold at post offices. Where more than one pane is on a printed sheet they are arranged in a table-like arrangement.The spaces between the single stamps are all of the same size and provide space for a cut or perforation. Tab is an abbreviation for "tablet" and with this term a usually rectangular extra piece attached to each postage stamp in a sheet. The tabs can be removed, because between tab and stamp perforation is applied. The stamp without tab can be used, but the tab itself is not valid for franking. In Switzerland and some other countries the margin of the sheet was used for this purpose. On tabs often information about the design or occasion of the issue is given (Israel, The Netherlands). In Belgium many stamps were issued with a tab in the years 1893-1913. The bilingual tabs with the text "Ne pas livrer le dimanche / niet bestellen op zondag" could be used by the sender to inform postal employees whether or not the letter should be delivered on Sundays. Those stamps without tab are worth considerably less.